58VE: This brand new central London venue on the River Thames offers cutting edge technology in a creative environment and an outside space in a location easily accessible by tube, rail, bike and river. 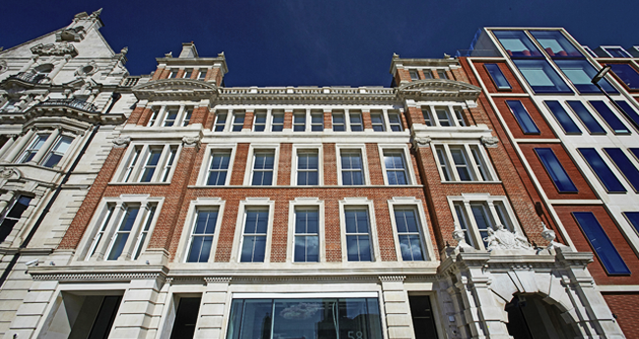 58VE has a variety of flexible spaces from their brand new purpose built event space on the ground floor to meeting rooms and an exclusive lounge and terrace on the sixth floor with views overlooking the River Thames and London’s skyline. At 58VE they have a range of packages available to cater for any type of event you wish to host with them. Their dedicated in house catering team, H+J, are able to provide an outstanding and bespoke service. They are committed to using sustainably sourced seasonal ingredients, delivering the perfect menus to complement your event. The variety of different spaces at 58VE means we can always find you the perfect room to go with our team building experiences. Ideal for: The Killing, Awakening the Dead, Around the World, Escape the Box, Stocks in the City, Real Life Clud’oo, Crime and Dine, Murder Mystery, Conference and Christmas Events. If you would like to hold your next event at 58VE, contact us on 0207 1676 717 or email us info@rightangleevents.co.uk.